Riding a bike takes more than leg strength. This title offers cyclists a core strengthening programme to make every bike ride faster and painfree. It features beginner, intermediate, and advanced training plans that can help cyclists to stabilise the upper body, improve cycling efficiency and reduce the fatigue that can cause back and neck pain. 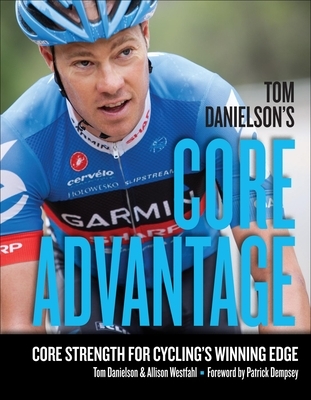 Tom Danielson is a professional cyclist with Team Garmin-Barracuda. Danielson won the national collegiate mountain biking championship riding for Fort Lewis College. He began his pro road cycling career riding for Team Mercury and then Team Saturn. Danielson won the Tour de Langkawi, Nature Valley Grand Prix, the Cascade Cycling Classic, Tour de Toona, and the Mt. Washington Hill Climb. In 2004, Danielson signed on with the Italian squad Fassa Bortolo and then Discovery in 2005 when he won the Tour de Georgia. While riding for Discovery, Danielson won a stage of the Vuelta a Espana. Allison Westfahl is a certified personal trainer and founder of The Athletic Edge, a fitness consulting company based in Boulder, Colorado. She holds an MS in Exercise Science and is a certified USA Triathlon coach. Westfahl has worked as a personal trainer to amateur and youth athletes as well as elite cyclists Tom Danielson, Ryder Hesjedal, Timmy Duggan, Blake Caldwell, and Mike Friedman. Westfahl was named the youngest ever Director of Personal Training at the prestigious Flatiron Athletic Club, named in 2006 by "Men's Journal" as the Best Gym in America. She has contributed to the "Denver Post" and "Bicycling" magazine.